Father’s Day is just around the corner! Shop our sale here to find the perfect gift for your dad on this special day. Read on for more information on some of our best-selling luxury timepieces offered at unbeatable prices at www.AuthenticWatches.com. 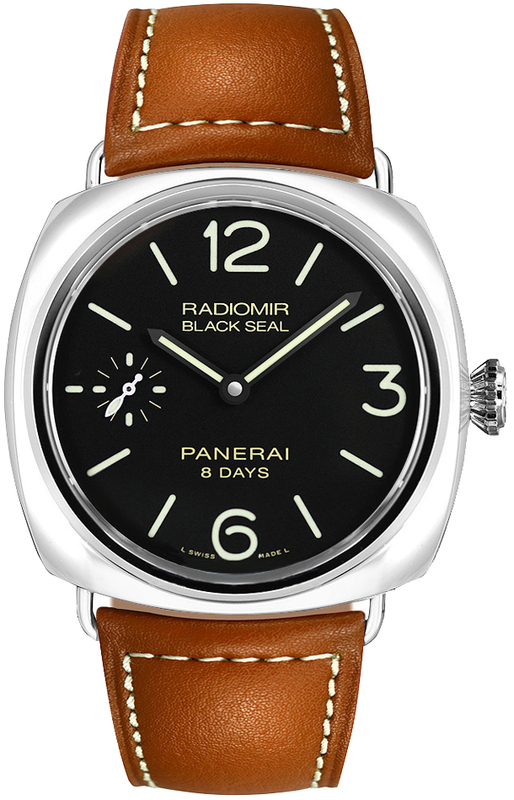 This limited edition Panerai Radiomir Black Seal timepiece is one of 1500 ever made, and the perfect gift for Father’s Day. With a polished steel case and brown leather strap, this watch is both comfortable and elegant. The black dial with luminescent hands and markers gives this model a classic Panerai appearance and provides easy legibility for the user. This watch features a manual winding movement with an impressive 8-day power reserve. 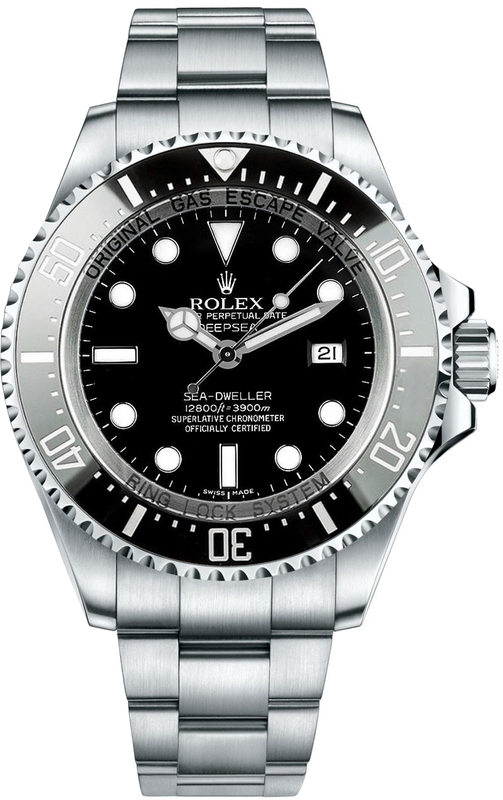 The Rolex Deepsea is the ultimate diver’s watch that boasts up to 12,800 feet (3,900 meters) of water resistance. It also has a special helium escape valve feature used by professional divers that protects the timepiece when it detects a difference in pressure inside and outside the watch. For the adventurous man, the Rolex Deepsea is the perfect Father’s Day gift. In addition to its unmatched water-resistance, the timepiece has a durable black ceramic bezel to match the black dial, and features a brushed and polished stainless steel case and oyster-style bracelet. The Rolex Deepsea is both beautiful and highly functional, and is powered by a self-winding automatic movement. 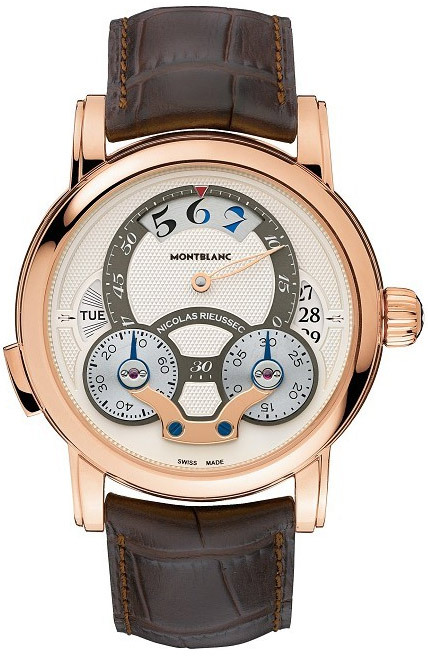 The MontBlanc Nicolas Rieussec Collection pays tribute to the famous French watchmaker to King Louis XVIII who developed the first commercialized chronograph (and patented the term) in 1821. This timepiece is truly unique and a must-have for watch enthusiasts and collectors- if this sounds like your father, this is the perfect Father’s Day gift for him. The unique chronograph function on this timepiece operates with rotating discs while the hands remain stationary, and the “Rising Hours” display changes the color of the hour depending on the time of day. Beautifully forged from solid 18K rose gold, the case is affixed with a comfortable brown alligator-leather strap and powered by the MontBlanc Caliber MB R220 self-winding automatic chronograph movement. This entry was posted in Brand Name Watches and tagged alligator, authentic watches, authenticwatches, ceramic, ceramic bezel, chronograph, chronometer, deepsea, divers watch, diving, diving watch, father's day, father's day gifts, father's day sale, gifts, gifts for dad, helium escape valve, leather strap, limited edition, manual winding movement, montblanc, montblanc nicolas rieussec, montblanc nicolas rieussec 108789, nicolas rieussec, oyster bracelet, PAM00609, Panerai, panerai black seal, panerai radiomir, power reserve, rising hours, rolex, rolex deepsea, rolex deepsea 116660, rolex seadweller deepsea, rotating discs, self-winding automatic, stainless steel, timepieces, watch collectors, watch history, watches. Bookmark the permalink.